Imam Sulaiman Z Salaam is a community leader and religious teacher in the Islamic faith. He considers himself to be a follower of the Prophet Muhammad (G-d’s Peace be upon him), to whom the Holy book Quran was revealed; and a student of the late Imam W.D. Mohammed (G-d’s Peace be upon him also). In the year 2001, Imam Salaam earned the honorary title of “El-Hajj” after completing the fifth pillar of the Islamic faith; which is “hajj” or pilgrimage to Mecca. To Assist in the establishment of a model Islamic community based on the guidance of the Holy Quran, and the examples of Muhammad the prophet (G-d’s Peace be Upon Him). To Assist in the cultivation of all of G-d’s servants towards greater social, spiritual, political, and economic values. To Be a living example of the peaceful and rewarding life that G’d calls all his servants to. To Help others come to understand, and see the religion of Al-Islam in its proper context and through the most balanced of interpretations. Imam Salaam was presented with the "Merging Leadership Award" by the Heartland Chapter of the Muslim American Council after years of Interfaith work with Harmony; The Focalore Movement of the Catholic Church; participating in Interfaith Dialog with Leaders of various faiths; being a guest speaker and addressing over 25,000 people at the World Youth Day and Gen Fest in Rome, Italy; and speaking at over 60 Churches since the September 11th Tragedy. Recently he was appointed as an Ambassador for Peace by the World Federation of Peace. 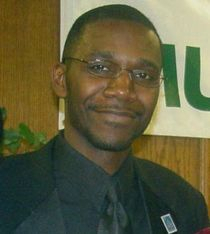 Imam Salaam is the Imam of Al - Haqq Islamic Center, in Kansas City, Missouri and for several years now, has Delivered a public address on the 2nd Sunday of every month at the Public Library Entitled "Embracing Concepts that Help Us to Live A More G-d Centered, Peaceful and Productive Life”.